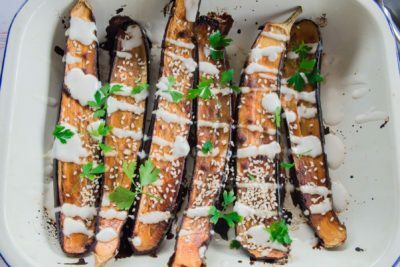 I love a one tray meal, there’s something so satisfyingly efficient about just being able to throw everything onto a pan, put it in the oven and then have dinner ready and waiting for you not long afterwards. This One Tray Mediterranean Lamb & Halloumi is made even more satisfying by the fact that it includes six different types of vegetables – which not only makes it super healthy and nutritious with lots of different vitamins, minerals and antioxidants, but it also means that it looks beautiful thanks to all the different colours. And just when you thought it couldn’t get much better, there’s halloumi! 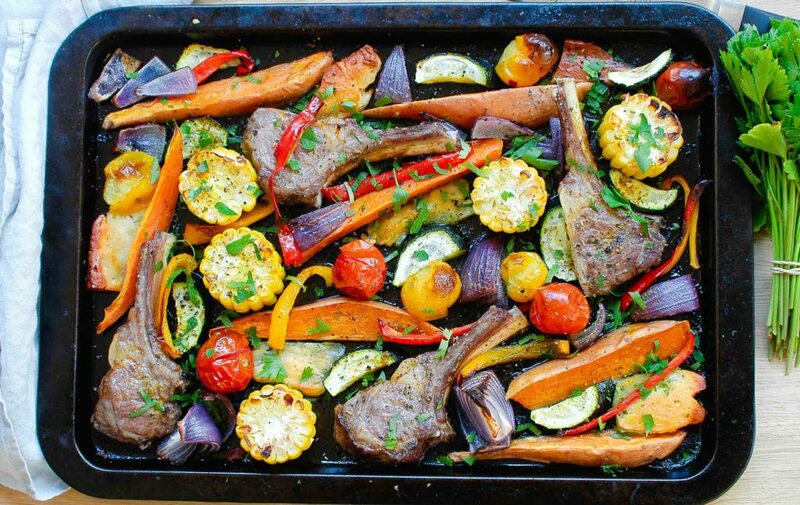 Arrange lamb cutlets, vegetables and halloumi onto a large oiled oven tray. Sprinkle with mixed herbs and season with salt and pepper. 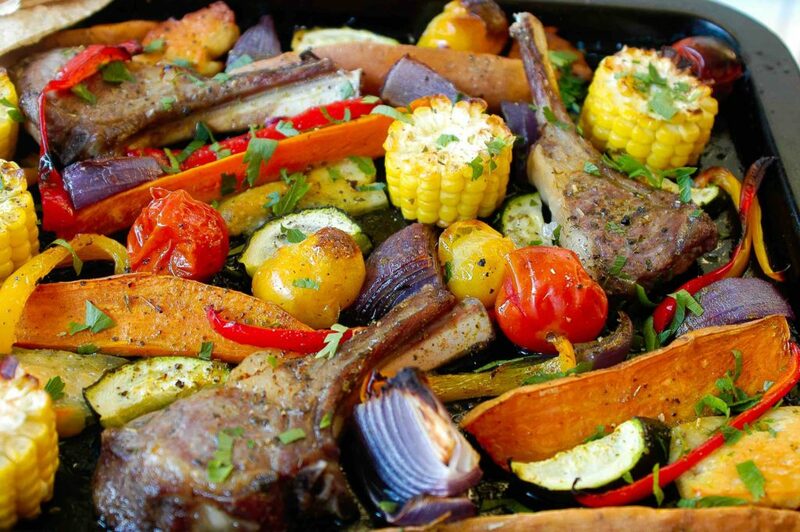 Bake for 15-20 minutes until lamb is well cooked, vegetables are soft and halloumi is lightly browned. Meanwhile, make yoghurt sauce by mixing all ingredients together in a small bowl. Divide lamb, vegetables and halloumi between two plates, top with yoghurt sauce and serve with pita bread.